Users who use iTunes Match will benefit by organizing their music with TuneUp. The cleaner your collection, the more "matches" Match will get, which means less storage will be required against your limit, and it will take less time to move your library into iCloud. Please note that TuneUp will only work on tracks that are in your local library. If your songs are "Cloud Only", please be sure to download them to your library first! 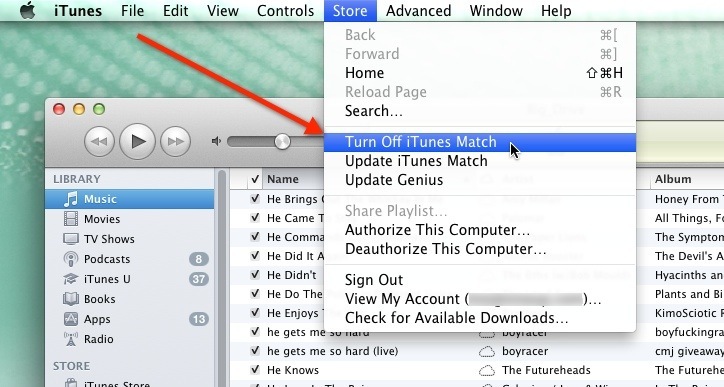 It is best that you temporarily turn off iTunes Match while processing your collection with TuneUp. This is because iTunes Match is continually looking for changes to your library to sync to iCloud, and if you are adding or replacing song info and album art or removing duplicates, Match will repeatedly alert you and upload the changes. To turn off iTunes match, you simply go to the "Store" menu in iTunes and select "Turn off iTunes Match". When you are done using TuneUp, simply go back to the same menu to turn Match back on.